London's FTSE 100 was down 0.1% at 7,430.49 in afternoon trade on Monday, with miners proving a drag. Miners BHP, Anglo American and Antofagasta were all in the red. 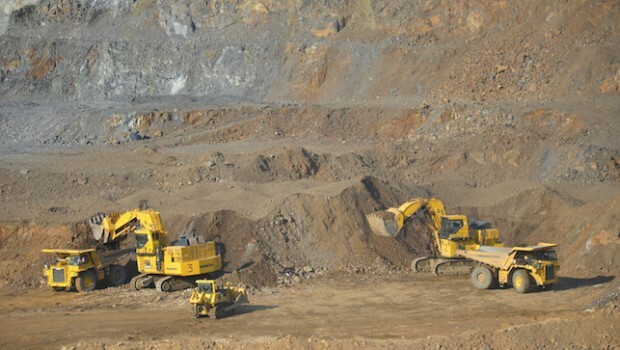 "Copper had a strong session on Friday and now we are seeing a bit of profit taking, and that is driving sentiment in the mining sector this morning," said CMC Markets analyst David Madden. Rio Tinto was also in the news as it said it would invest an extra $302m (£231m) to develop its US Resolution copper project as it sought to capitalise on the growing green energy market. Outsourcer Compass was under the cosh as Barclays downgraded its rating on the stock to 'equalweight' from 'overweight' after 10 years. "We have been long-term supporters of Compass and its relative strengths versus the rest of the sector," it said. "However, we believe the valuation has now reached levels that make the upside feel more limited on a 12-month view." Barclays said it was more cautious on the stock in the short term. Consumer goods group Reckitt Benckiser was in the red even as Barclays said the company's legal issues in the US are likely not as bad as feared. "We think that it is unlikely that RB faces criminal charges in the US over alleged Suboxone Film mis-selling," it said, following last week's news that Indivior - which was spun off from Reckitt - has been indicted by the DoJ over the marketing of its opioid treatment. On the upside, WPP was the standout gainer following reports that the advertising giant has attracted at least five of the world's biggest private equity firms into an auction for a majority stake in its data analytics unit Kantar. According to Reuters, US private equity funds Bain Capital and Apollo will compete with European funds CVC Capital Partners, Permira and Apax. B&Q owner Kingfisher was a high riser, with analysts pointing to the forecast for warm weather over the Bank Holiday weekend, which tends to get people out doing DIY.